RIJASOLO | BEHAHITSE COMMUNE - Members of the Betioky "fokonolona" (community) met in Behahitse village, Ampanihy district, southern Madagascar. They are subject to the authority of a "Dina Be" (reconciliation). I am informed that most of them are zebu thieves (Dahalo). They still come armed and protected with their amulets (ody gasy) "because you never know" they tell me. 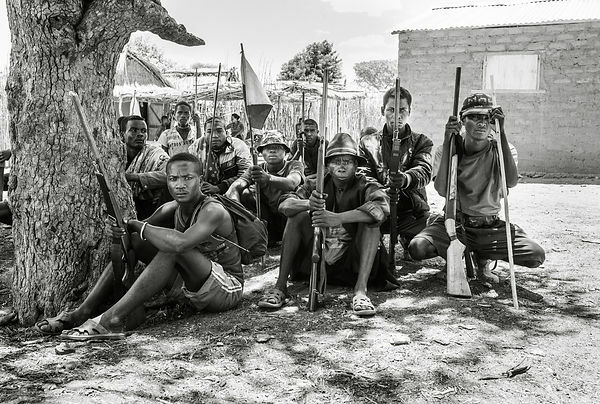 They visit the Behahitse fokonolona to claim their due: nine zebus must be reimbursed to the Betioky community because a Behahitse resident stole a bicycle there. But the fokonolona of Behahitse does not agree, he finds that it is too much and contrary to the rule that was established by the Dina Be. Normally the refund should be three zebus and not nine. The two parties meet under tamarind trees near the village market. A long "kabary" (discussion, speech) of one day will finally bring the two parties together. To seal this pact, a zebu will be killed and shared. 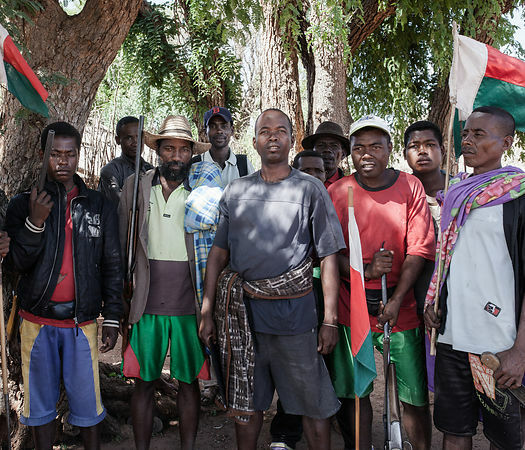 BEHAHITSE COMMUNE - Members of the Betioky "fokonolona" (community) met in Behahitse village, Ampanihy district, southern Madagascar. They are subject to the authority of a "Dina Be" (reconciliation). I am informed that most of them are zebu thieves (Dahalo). They still come armed and protected with their amulets (ody gasy) "because you never know" they tell me. 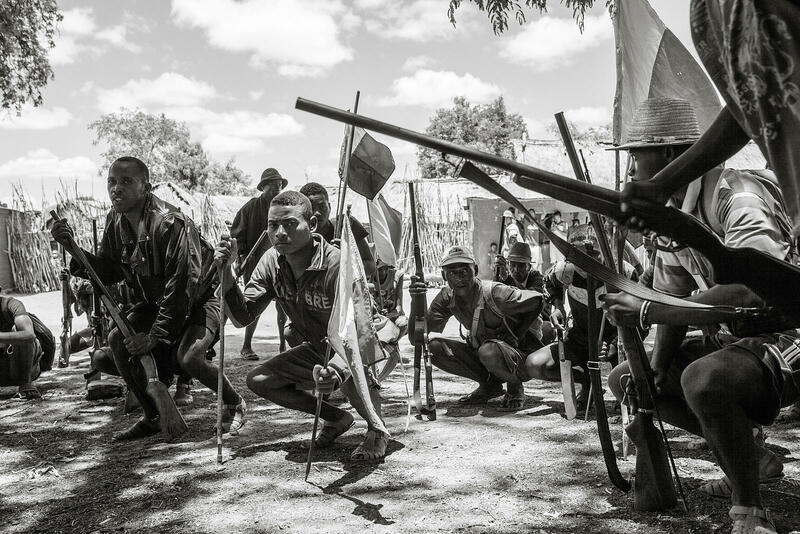 They visit the Behahitse fokonolona to claim their due: nine zebus must be reimbursed to the Betioky community because a Behahitse resident stole a bicycle there. But the fokonolona of Behahitse does not agree, he finds that it is too much and contrary to the rule that was established by the Dina Be. Normally the refund should be three zebus and not nine. The two parties meet under tamarind trees near the village market. A long "kabary" (discussion, speech) of one day will finally bring the two parties together. To seal this pact, a zebu will be killed and shared.